In Female Baldness, diffuse hair loss is due to genetic factors, thyroid disease, iron deficiency, stress and few other factors. In Female pattern baldness, the initial stage of hair loss responds better to medical therapy; however, for advance stage of hair loss, hair transplantation by BOOSTED-FUE is the right choice. Diseases such as thyroid and diabetes. Excessive hair loss calls for a proper treatment from a renowned and experienced clinic. Dermalife - A one-stop solution for all your hair problems! We at Dermalife ensure natural results for your hairline. The best hair doctor in Delhi, Dr. Gaurav Garg is leading the clinic to give best hair treatment and results to their clients. We are well equipped with all the latest machines and tools to give a proper hair treatment to our clients and customers. We have 100% customer satisfaction rate. The treatment is safe and without any side effects. 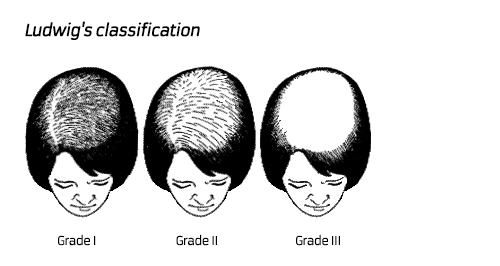 The cost of the treatment provided for female baldness is very competitive in the market. It suits almost everyone’s budget and cost. A proper guidance from the beginning until the end of the hair treatment is given by Dr. Gaurav Garg himself. This includes information about your daily routine, supplements, nutrition and daily activities to be involved in and routine checkups. Customized treatment plans are also provided in case you are seeking a particular type of treatment for the hairline. We provide almost every type of hair treatment. From hair transplantation to instant hair fall treatments, we have it all. Dr. Gaurav Garg is exceptionally qualified and professional in providing skin and hair treatments to customers. He has a Fellowship in Advanced Dermatology, Lasers & Dermatological Surgery from Singapore. He is also successfully completed his Fellowship in Dermatological-Surgery from PGI- Chandigarh, which is India’s Top Ranked Medical Institute. With 7 years of experience in Hair Transplant, Lasers, Dermatologic Surgeries and Cosmetic procedures, he has pledged to give leading results to all his clients. Under his guidance, Dermalife has been providing outstanding results to treat skin and hair problems in women. Hair loss, hairline thinning, scalp issues, hair transplant etc., everything is treated with utmost care. Every case is directly supervised by him and his team to bring the natural results. It is ensured that our clients see a great difference in their hair line after the treatment. Get an appointment and say bye to your hair problems! Yes, you can literally say goodbye to all your hair woes. From small to all major hair issues, we are here to help you. All you need to do is book an appointment with us immediately. You can connect with us over a call or write an e-mail to us. You can even fill the form provided on website and we will get in touch with you to know your hair story.